CDO ICT Business Council is one of the active members of the National ICT Confederation of the Philippines (NICP), an umbrella organization fo all ICT Councils in the country. 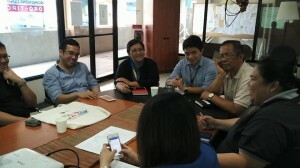 Every year, a cluster group gets the chance to host the NICP Summit — a national event where all ICT Councils converge, along with ICT stakeholders and champions, LGUs, academe, ICT groups, freelancers and students — to get updated with topics of national significance. 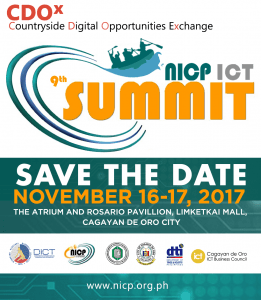 On November 16-17, 2017, CDO gets the opportunity to host the NICP Summit. 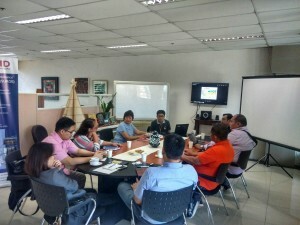 A series of collaboration meetings have been conducted by the ICT Council with its partners in order to prepare for the big event.